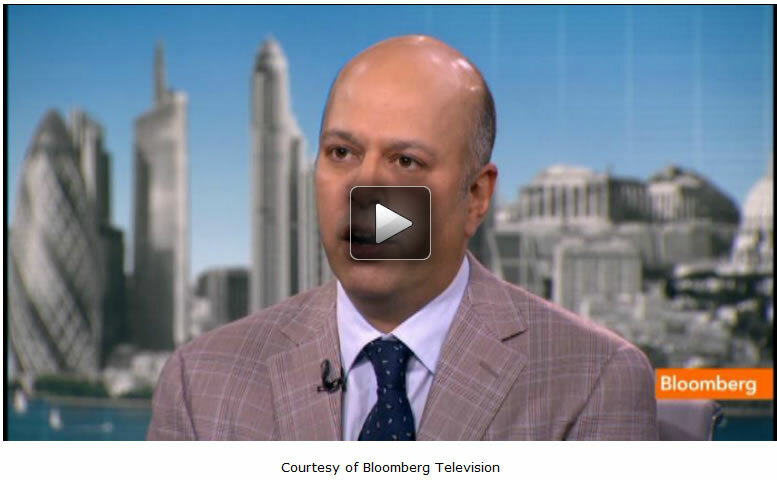 Lakshman Achuthan, co-founder of the Economic Cycle Research Institute, spoke with Bloomberg Television's Tom Keene today and said that, "What we said back in December was that the most likely start date for the recession would be in Q1 and if not then, by the middle of 2012. I'm here to reaffirm that. I think we're in a recession already." "Yeah...I think a lot of people forget what our call was. What we said back in December was that the most likely start date for the recession would be in Q1 and if not then, by the middle of 2012. I'm here to reaffirm that. I think we're in a recession. I think we're in a recession already. As I said back there, it is very rare that you know you're going into recession when you're going into recession. It often takes some big hit on top of the head. In the last recession, it took Lehman to wake people up and the recession before, it took 9/11." "It is not our definition. It is the definition of what a business cycle is, which was established by my mentor Jeffrey Moore's mentor Wesley Mitchell back in the 1920s. What is a recession? It is not a statistic; it is a process between production, employment, income and sales. When you look at those four measures, they are rolling over." "It is not all about GDP. It is about jobs. It is about income and sales. A recession is a vicious interplay among output input employment, income and sales. When you look at 2001, you can't find two negative quarters in a row, yet you lost 3 million jobs. Or half the value of the NASDAQ. How are you going to tell someone that wasn't a recession? When you look at the data today, you see that industrial production is off of its April high. Manufacturing and trade sales, much broader than retail sales, is off its December high. Real personal income growth, which does not always go negative during a recession, has been negative for several months so it is consistent with a recession having already started." "I think there is this belief that somehow government or a central bank will stave off a recession. For the last 220 years, you do some history with Hamilton, which ended in a duel by the way...you have had 47 recessions. Why are we going to avoid the 48th? Here we are in the wake three years out of the last recession. You see this leading indicator. It leads, it is the drivers of the business cycle and it is doing this bumping down. People look it that and they say, each time they throw in some money or do something, you get less for it. I am surprised given the trillions of dollars spent around the world that that indicator is as weak as it is. That is a recessionary reading." "We have entered these so-called yo-yo years. We have been seeing weaker and weaker expansion since the mid 1970s. We have not been freaked out by it because the business cycle has been pretty mellow over the last 20-25 years. Until now. So if you have a more volatile business cycle and low growth, you get more recessions and you start to destroy people's ability to earn. In particular, when we talked slower expansion, we're not talking GDP, we're talking jobs, too. In particular you're seeing no jobs growth." "There's a lot of things in there. Globalization is part of it. There's a lot of one offs that have occurred in the last decade. The falling of the iron curtain. The emergence of China and India. A lot of productivity growth. A lot of aging of the population. So there is a lot of a factors in here at work. But when you are competing, as we are globally, companies are trying to squeeze their costs. People are a big part of that. What you see is what is alarming right now, people that are in their prime earning years, which is roughly from 35 to 54, over the last two years, they have lost jobs. Net jobs have been lost for that cohort of the American job market and that is when you're supposed to make your money."